The Vikings lost running back Bishop Sankey yesterday after the former second-rounder tore his ACL. The team is now searching for replacements, and Chris Tomasson of TwinCities.com reports that the organization will audition a pair of running backs in David Cobb and Bronson Hill. Signing with the Vikings would be a bit of a homecoming for Cobb, who was a standout at the University of Minnesota. The 2015 fifth-round pick hasn’t shown much consistency during his brief NFL career, compiling 146 yards and one touchdown on 52 career carries. 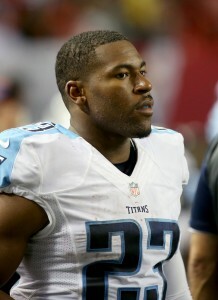 Since being released by the Titans last August, the running back has also had brief stints with the Steelers and Bears. Meanwhile, Hill has bounced around the NFL since going undrafted out of Eastern Michigan in 2015. He collected 11 rushing yards in three games with the Jaguars last season, and he’s also spent time with the Bills, Bears, Dolphins, Saints, and Bengals. Of course, despite the Sankey injury, it’d still be an uphill battle for either Cobb or Hill to make the Vikings roster. The team is currently rostering four healthy running backs in Latavius Murray, Dalvin Cook, Jerick McKinnon, and Terrell Newby. The Giants have waived running George Winn and quarterback Keith Wenning, per a club announcement. Winn has been a member of seven organizations since going undrafted out of Cincinnati in 2013, though he has only seen action with one (Detroit). As a Lion from 2014-15, he rushed for 74 yards on 23 attempts. Wenning, who went to Baltimore in the sixth round of the 2014 draft, signed with the Giants’ practice squad in late December. They retained him on a reserve/futures deal in January, but he’s now out of the organization roughly five months later. The Bears have waived running backs Bralon Addison and David Cobb; cornerbacks De’Vante Bausby and Jacoby Glenn; wide receiver Dres Anderson; and tight end Justin Perillo. Of those six players, only three (Addison, Bausby and Glenn) took the field for the Bears last season. Glenn made the biggest impact, logging three starts and an interception in seven games. The biggest name of the bunch is Cobb, a fifth-round pick of the Titans in 2015 who ran for 146 yards on 52 carries as a rookie. The Bears did make one addition to their roster Monday, signing center Taylor Boggs, according to his agency, Schwartz & Feinsod (Twitter link). Boggs was a Bear from 2013-14, appearing in five games, before moving on to the Lions and Cardinals. With Arizona last year, he picked up the first two starts of his career. The Saints have waived defensive end D.J. Pettway with a non-football injury designation and defensive back Jimmy Pruitt with a failed physical designation, tweets Joel A. Erickson of the Advocate. The Rams have cut offensive lineman David Arkin, per Alden Gonzalez of ESPN.com. Last season was the four-year veteran’s only campaign with the Rams. Arkin appeared in two games. The Bears have made a notable addition to the practice squad. 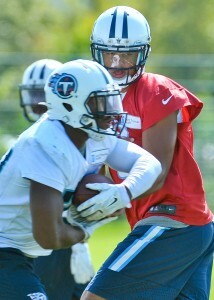 The team announced today running back David Cobb has been signed to the p-squad. To make room, tight end Marcel Jensen has been released. Cobb has made the rounds on workout circuit a bit this offseason but has been unable to find a 53-man spot since being cut loose by the Titans in late August. Cobb was signed to the Steelers’ practice squad in early September, but he was dropped days later. The Jaguars, Patriots, Browns, Colts, Chiefs and Jets all auditioned the young running back, but they all passed on him. Selected in the fifth round of the 2015 draft, the Titans had high hopes for Cobb and believed that he could be a difference-maker almost immediately. The 23-year-old made seven appearances (one start) last season, compiling 146 yards and a touchdown on 52 carries (2.8 average). This offseason, GM Jon Robinson determined that he did not see the potential in Cobb that predecessor Ruston Webster saw. The Browns have been busy this week, as Aaron Wilson of the Houston Chronicle reports (via Twitter) that the team worked out four players, including running backs David Cobb and Terrence Magee. The team also auditioned lineman Trevor Robinson and Darrion Weems. Cobb is the most experienced running back of the two. The 23-year-old made seven appearances (one start) for the Titans last season, compiling 146 yards and a touchdown on 52 carries (2.8 average). 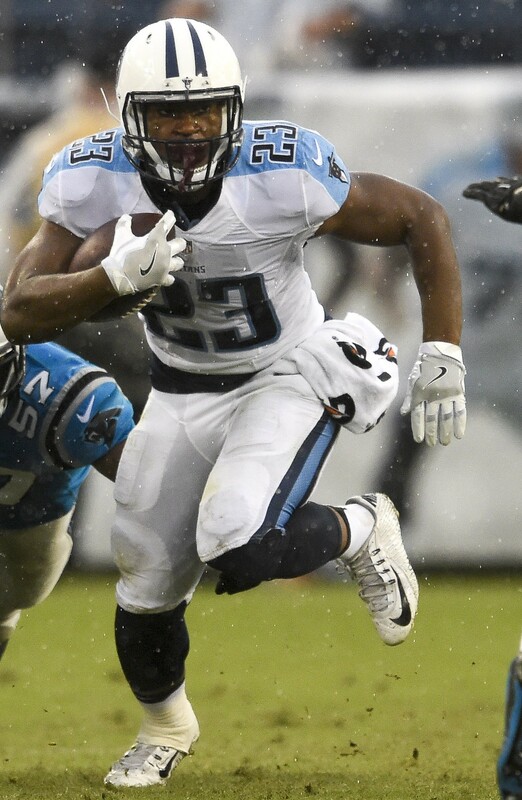 Despite being selected in the fifth round of the 2015 draft, the Titans released the running back in August. He briefly caught on with the Steelers practice squad, but he was cut from the team earlier this month. Magee, an undrafted free agent out of LSU in 2015, has bounced between the Ravens, Rams, and Seahawks. The 23-year-old has appeared in five career games, collecting 17 rushing yards on five carries. Robinson, a former undrafted free agent out of Notre Dame, has 38 career games under his belt, including 21 starts. The 26-year-old made 13 starts for the Charges in 2015, but he was ultimately cut prior to the season. Weems, 28, has been in the league since 2012, but he’s only made seven appearances in those four-plus seasons. Running back David Cobb worked out for the Jaguars today, according to a league source who spoke with ESPN.com’s Field Yates (on Twitter). Cobb’s short stay with the Steelers’ practice squad ended last week when he was cut. Cobb, 23, was a fifth-round pick of the Titans the 2015 draft. The ex-Minnesota Golden Gopher picked up 146 yards on 52 carries, good for a paltry 2.7 YPC, in seven games as a rookie. That output was disappointing to the Titans who saw him as a late-round steal. This offseason, he was cut by Titans GM Jon Robinson as the new regime cleaned house. Now the Jaguars are kicking the tires on the young running back. Jacksonville expected to have a much-improved running situation this year after signing the high-priced Chris Ivory but he has not impressed since coming back from his mysterious illness earlier this year. T.J. Yeldon impressed at times as a rookie last year, but he is averaging just 3.3 yards per carry through five games this season. The Jags also have Auburn product Corey Grant and converted quarterback Denard Robinson on the RB depth chart. The Steelers announced that they have cut running back David Cobb from their practice squad. Meanwhile, the team has added safety Jacob Hagen and offensive tackle Austin Shepherd to the group. Cobb, 23, was a fifth-round pick in the 2015 draft. The ex-Minnesota Golden Gopher picked up 146 yards on 52 carries, good for a paltry 2.7 YPC, in seven games as a rookie. This offseason, he was cut by Titans GM Jon Robinson along with other notable players from ex-GM Ruston Webster‘s time in charge. In early September, the Steelers added him to their taxi squad. The Steelers still have running back Daryl Richardson on the p-squad with running backs Le’Veon Bell, DeAngelo Williams, and Fitzgerald Toussaint on the 53-man roster. For a full rundown of Pittsburgh’s roster, check out their page on Roster Resource. WEDNESDAY, 9;25am: The Steelers officially announced that Cobb is now a member of their practice squad. TUESDAY, 9:15pm: The Steelers plan to sign former Titans running back David Cobb to their practice squad, according to Jeremy Fowler of ESPN.com (Twitter link). Pittsburgh put Cobb through a workout yesterday. Cobb, 23, was a fifth-round pick in last year’s draft. The ex-Minnesota Golden Gopher picked up 146 yards on 52 carries, good for a paltry 2.7 YPC, in seven games as a rookie. With star Le’Veon Bell set to miss the first three games of the season because of a suspension, the Steelers are in search of backfield depth to work behind DeAngelo Williams. As of now, Fitzgerald Toussaint and former Ram Daryl Richardson are their top options behind Williams. Toussaint only has 24 carries to his name, though, and Richardson – the more experienced of the two – hasn’t appeared in a game since 2013. Pittsburgh previously worked out Karlos Williams, though he’s suspended for the season’s first four games and wouldn’t be able to help fill Bell’s void. The Steelers will work out free agent running back David Cobb on Tuesday, tweets Jeremy Fowler of ESPN.com. Pittsburgh will become the fourth team to audition Cobb, who visited with the Patriots, Chiefs, and Jets after the Titans waived him last week. David Cobb is a busy man, as the free agent running back has visited a number of teams this weekend. According to ESPN’s Field Yates (via Twitter), the 23-year-old’s latest audition was with the Jets. Cobb already worked out with the Patriots and the Chiefs this weekend. 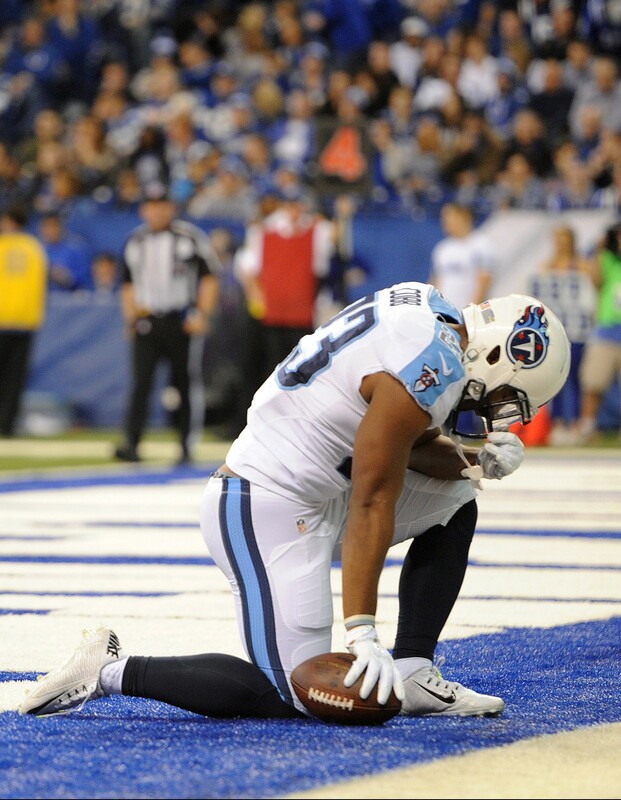 Cobb, a former fifth-round pick, was waived by the Titans last week. The running back made only seven appearances during his rookie season, compiling 146 yards and a touchdown on 52 carries. While Cobb’s 2015 campaign certainly didn’t do him any favors, a crowded Titans depth chart (which includes DeMarco Murray, Derrick Henry, and Dexter McCluster) didn’t help. It’s uncertain where Cobb would slide in on the Jets. The team released running backs Khiry Robinson and Dominique Williams today, making Troymaine Pope the team’s third running back behind Matt Forte and Bilal Powell.